With the afternoon high tide lapping at our ankles, Rosabel’s husband Karl Kaufmann and I are poking around in a patch of mangroves in a suburb of Panama City called Diablo. 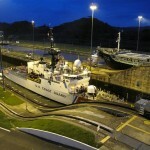 It’s in the former Canal Zone, a corridor of land that extended five miles on either side of the Panama Canal and was controlled by the US until 1979. It’s a leafy neighbourhood of spacious weatherboard duplex houses that were characteristic of the zone—an entity that ended in 1999 when the canal passed to Panamanian control. 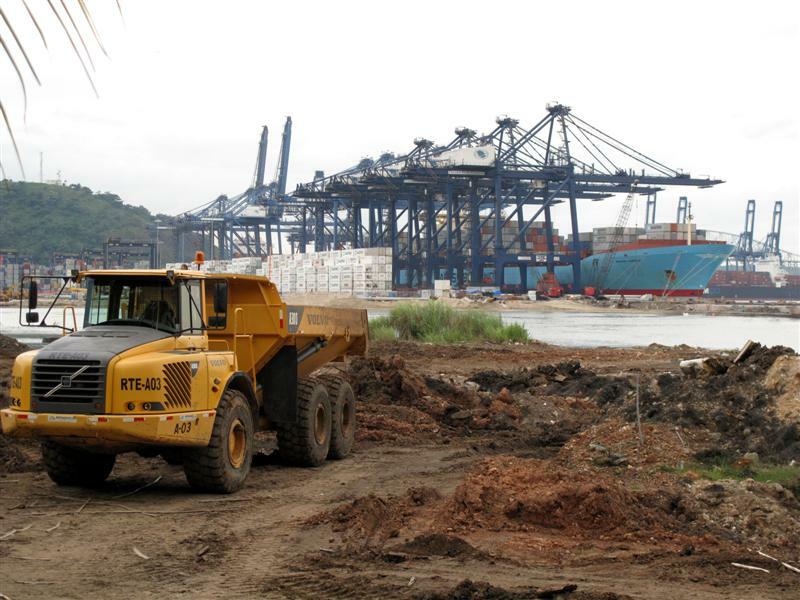 Panama's cash cow: the canal. We’re in an area of boatyards, boatsheds and rickety wharves. Karl remembers seeing Pelliciera here in the past, and, sure enough, as soon as we start looking we spot the distinctive pointy leaves and star-shaped flowers. 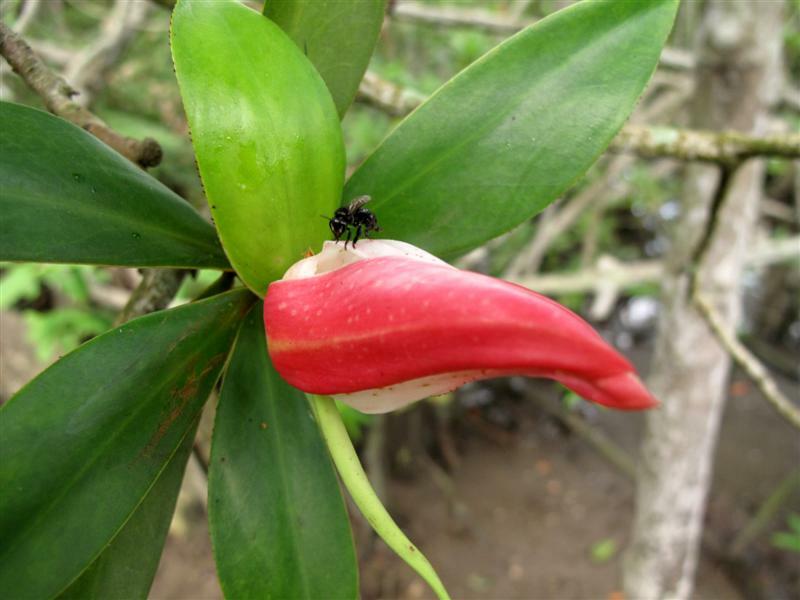 Here on the Pacific coast, the flowers of Pelliciera are much pinker than they are on the Atlantic. Candy Feller wonders if they are distinct species. 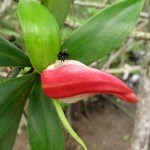 A fly discovers the nectar riches of an unopened Pelliciera flower in Diablo. There’s something special about finding a treasure like Pelliciera in a neglected backwater in a place called Diablo. It’s partly why I became interested in mangroves in the first place. They’re maligned, they’re marginalised, they’re considered uncharismatic. Documentary makers aren’t beating a path to the mangroves. Their eyes are on terrestrial rainforests and coral reefs. I’ve got nothing against those habitats, but they’ve become ecological celebrities. Mangroves are underdogs. I like the idea of showing what they’re made of. I turn to see a container ship slipping past, leaving the canal. 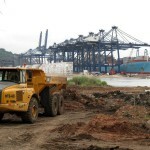 The canal is being expanded at the moment, with the predictable attendant loss of mangrove forest. Karl asks me a question: Is there anywhere I’ve been on this journey where mangroves are held in high esteem by a majority of people? I can’t think of any. 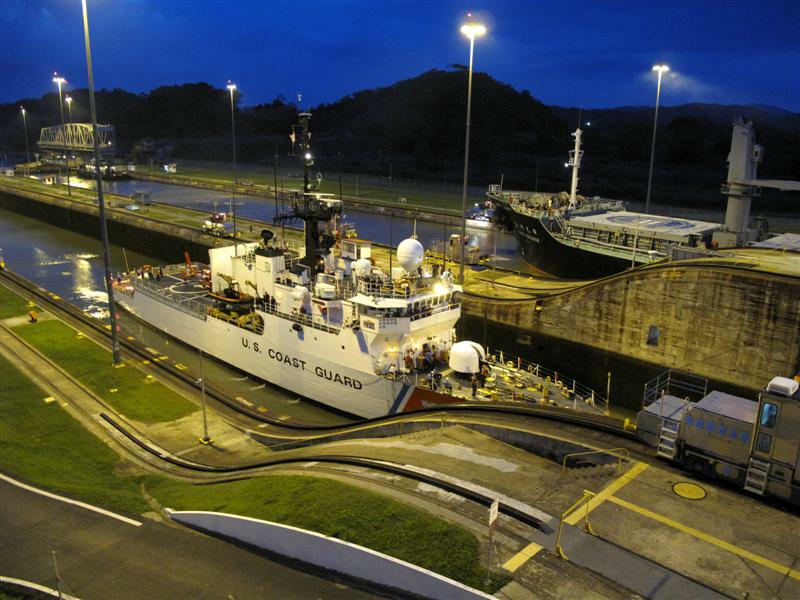 A five-billion-dollar expansion will give the canal two new flights of locks and allow larger ships to pass through. The mangrove outlook isn’t all bad. 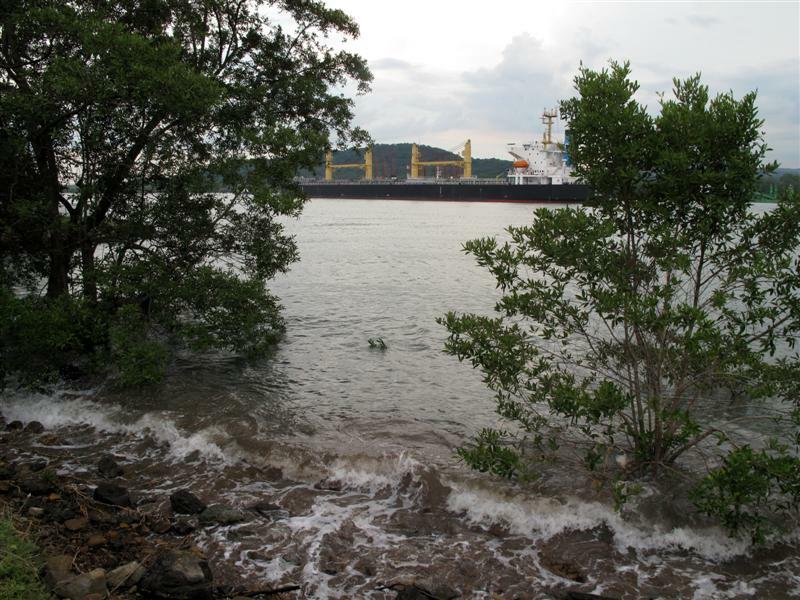 Along with the recent protection of coastal land along the Bay of Panama, resolutions have been passed that attempt to put a price on mangrove loss. Where mangrove removal is deemed a “public necessity” the land is valued at $20,000/ha. If part of a commercial project the price goes up to $150,000/ha. 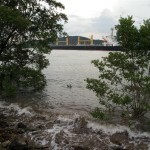 If mangroves are removed illegally, the fine is $300,000/ha. The correct approach, Karl thinks, is that for every hectare of mangroves taken, a hectare should be replanted. That way the public good is perpetuated for future generations. Rosabel and her colleagues are working to develop a conservation strategy for the Bay of Panama protected area, which they hope will be incorporated into the management plan. They expect battles ahead. Nearly half a million hectares of land near the protected area is under consideration for mining, and a further 40,000 ha just offshore is subject to applications for the extraction of rock and sand. The protected area is going to need sharp legal teeth to fend off developers. It will be interesting to see how the city balances its commitments.